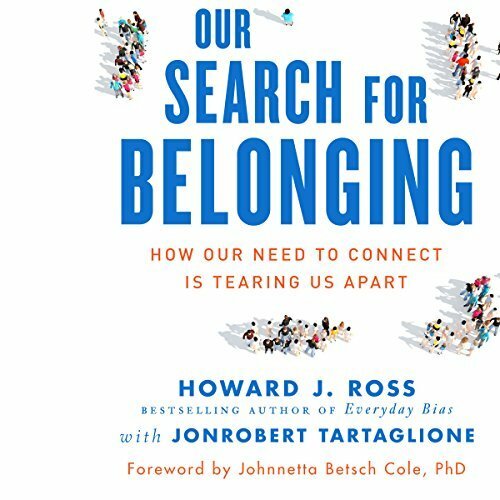 Our Search for Belonging: How Our Need to Connect Is Tearing Us Apart [Audiobook] | Free eBooks Download - EBOOKEE! We are living in a time of mounting political segregation that threatens to tear us apart as a unified society. The result is that we are becoming increasingly tribal, and the narratives of life that we get exposed to on a daily basis have become echo chambers in which we hear our beliefs reinforced and others' beliefs demonized. Global diversity and inclusion expert Howard J. Ross, with coauthor JonRobert Tartaglione, explores how our human need to belong is the driving force for why we are living in a world so extremely divided. At the core of tribalism exists a paradox: as humans, we are hardwired with the need to belong, which ends up making us deeply connected with some yet deeply divided from others. When these tribes are formed out of fear of the "other", on topics such as race, immigration status, religion, or partisan politics, we resort to an "us versus them" attitude. Especially in the digital age, when we are all interconnected in one way or another, these tensions seep into our daily lives and we become secluded with our self-identified tribes. This has consequences even in our most personal relationships in our families and communities - just think about Thanksgiving dinner conversations across the United States after the 2016 election. Drawing on his decades of leadership experience, Ross probes the depth of tribalism, the role of social media in exacerbating it, and how to combat it. Ross and Tartaglione highlight how to maximize our impact in the workplace, noting that it is one of the few places where we are forced to work with people different from ourselves. The goal of the book is to help people understand these dynamics and to develop ways to bridge the divide so that we can move toward an ever more harmonious future. No comments for "Our Search for Belonging: How Our Need to Connect Is Tearing Us Apart [Audiobook]".